Today we are featuring a sister sibling group of three from Latin America. 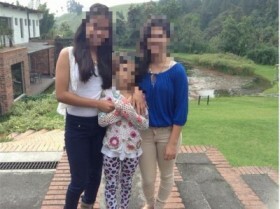 Per country rules we can only post blurred images of the sisters, however a simple email inquiry to their placing agency will grant you the opportunity to see and learn so much more! Take a moment to read about these three remarkable young ladies. If now is not the right time for you please consider SHARING their story as it might be the perfect time for someone you know to add three amazing daughters to their family. I had the joyful experience of visiting with these 3 sisters in their home-country in February 2016. The event was a festive get-together with many other children, and these 3 girls were some of the last to arrive. Each was dressed in her finest clothes, with braided hair and shy smiles. During the event, volunteers worked with groups of children doing crafts, plays, dancing, and in my case, interviews. During my two weeks of visiting with nearly 500 children available for international-adoption in this country’s program, this particular sibling set really stood out to me. So much so that I specifically asked for the opportunity to write this advocacy piece. These three sisters have lived in the same foster family for 6 years. They have received love and support, but still very much long for a permanent home and forever-family. This was openly stated to me by the oldest of the girls. Though the ages of these girls may give some families pause, it is important to emphasize the sweetness and innocence of these young women. They are confident in a quiet and humble sort of way, open, fresh, and very polite. The oldest of the sisters (Stacy, age 15, RK#35030) is very interested in English. The word that I wrote down and underlined several times in my interview notes was Delightful. She is very politely asked me if she could recite something to me in English that she had been practicing for a week. I encouraged her to do so, and was pleasantly surprised when she recited the Lord’s Prayer perfectly. Later, when the opportunity came for children to perform, several in our group seemed to know that this young lady could sing well. She was shy, but eventually agreed to perform. WOW!! She has a truly gifted voice, and shines when sharing it with others! The 2nd oldest sister, (Hannah, age 14, RK#35031) was the shyest. She apparently had some struggles in school at one time, but with support she has gained the needed skills and is doing well academically. At one point I complimented the girls on their elaborate hair styles, which were braided intricately. The other 2 siblings pointed at this sister and said that she loves to braid and would be a wonderful hairdresser. However, this young lady spoke up and stated that she wanted to be a Chef. This is definitely a creative group of girls! This young lady also loves dancing and being with her sisters and close friends. Any family adopting these siblings would be very fortunate, and I am sure showered with love! Although their ages might give pause to interested families, I encourage everyone to look past “a number” and see the real, innocent, and sweet girls that are longing for permanence. They are a treasure! Travel: Both parents must travel. One parent may return home after 10 days. The total duration of travel time varies by region at this time. 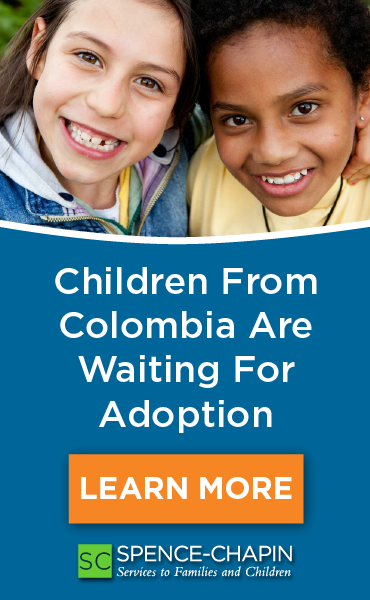 Ask your adoption agency for more information. Some adoption may be completed in under 3 weeks total time. Others may take up to 5 weeks. Timeline: If adopting an identified waiting child or sibling group, an adoption may be completed in under a year (even less for families motivated to complete their paperwork quickly). Families adopting infants or young toddlers may have a longer process due to the need to match to a child. For more information on Stacy, Hannah and Gina please email Ferrah at Lifeline. The best way to learn about what makes a waiting child smile or laugh or wish is to spend time with that child. Advocacy opportunities like in-country advocacy trips are a perfect way to discover what makes the fine qualities of a waiting child stand out. RainbowKids' Hope Gallery features articles about specific children written by those who have spent quality one-on-one time with that child through advocacy trips.